7th Rangers: How did the Hagia Sophia become a mosque? Jihad Watch : Turkish President and would-be caliph Recep Tayyip Erdogan wants to turn the Hagia Sophia, now a museum in Istanbul, back into a mosque. But how did the Hagia Sophia become a mosque in the first place? In my new book The History of Jihad From Muhammad to ISIS, I recount what happened then. Muslims raided monasteries and convents, emptying them of their inhabitants, and plundered private houses. 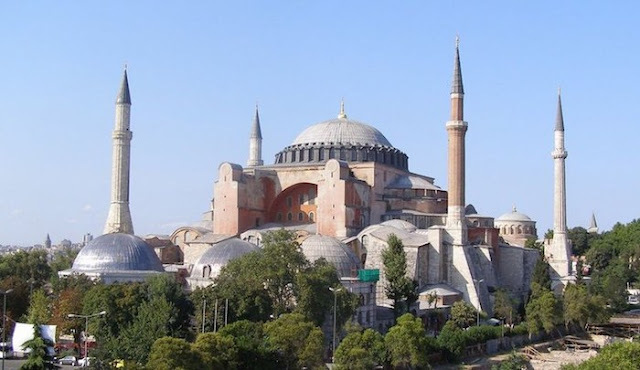 They entered the Hagia Sophia, which for nearly a thousand years had been the grandest church in Christendom. The faithful had gathered within its hallowed walls to pray during the city’s last agony. The Muslims killed the elderly and weak and led the rest off into slavery. The Byzantine scholar Bessarion wrote to the Doge of Venice in July 1453, saying that Constantinople had been. When the slaughter and pillage was finished, Mehmet II ordered an Islamic scholar to mount the high pulpit of the Hagia Sophia and declare that there was no God but Allah, and Muhammad was his prophet. The magnificent old church was turned into a mosque; hundreds of other churches in Constantinople and elsewhere suffered the same fate. Millions of Christians joined the ranks of the dhimmis; others were enslaved, and many were killed. Click here to preorder The History of Jihad From Muhammad to ISIS, the only comprehensive one-volume history of jihad in the English language, including not just the jihad in Europe but in India, Africa and elsewhere, drawing primarily on accounts of eyewitnesses and contemporary chroniclers. Arm yourself with the truth against the prevailing disinformation.